Landbase information typically comes from outside sources and depicts the natural (earth) and built (man-made) environment in which the utility operates – roads, rivers, and so on. 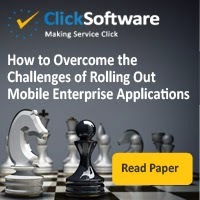 Companies don't want enterprise mobility. They want increased sales, lower expenses, better products, improved customer service and more profits. They want to be survivors during this period of massive digital transformations. What do I mean by digital transformation? I mean the fact that entire industries are being changed before our eyes because the physical world is merging with the digital. I mean big data analytics, mobile applications and broadband connectivity to the internet through mobile devices that introduce completely new business models, processes, products and markets. In order to be a survivor in this competitive climate, companies must have a clear understanding and vision of what digital transformation is, and how it is impacting their industry, market, products and company. I met with a large national paper manufacturer today. They have yet to start any mobile application projects internally. I wonder if they have ever read about the impact of digital transformation on Kodak film sales? I don't revel in writing about this. I cringe. The challenge is not IT. It is in the business that chooses not to commit a budget to preparing for digital transformation. That sounds to me like waving the white flag in the face of change. When I talk to companies about mobile strategies, I am not really talking about mobile strategies. I am talking about digital transformation and how mobile applications support this transformation. If you buy into the fact that entire industries and marketplaces are being digitally transformed (think film, newspapers, media, retail, banking, travel, education, healthcare etc. ), then you recognize mobile applications are about real-time prospect, customer and employee engagement, commerce, interaction and collaboration on any device, any place and at any time! The mobile app is the interface between the outside world and the company. However, the mobile app will provide very little value if the internal IT systems are not capable of supporting the demands of evolving marketplaces. Let me emphasize the concept of "real-time." Mobile devices and mobile applications feed our desire for instant results accompanied by instant satisfaction. This desire generates intense pressures for companies to upgrade and transform themselves, their business processes and IT systems to be able to respond in real-time. In addition to our desire for real-time information capabilities, we must be able to creatively innovate our way into the new landscape where the competition is around "information logistics" systems. Where our success is dependent upon our ability to collect data (from mobile devices, websites, social media, apps, sensors and other database) faster than our competition, and then integrate, analyze, report and put it to use in new business processes and services faster than our competitors. It is the ability to look at all of these capabilities and to envision new business models, products and services never before possible without real-time capabilities that will determine the market winners. It is our "information logistics" systems that enable us to digitally transform and be competitive. It enables us to market to customers with precision. It enables us to provide better SLAs (service level agreements) because of better visibility into remote operations and delivery capabilities. It enables us to manage our cash better, because we can manufacturer in a "just-in-time" paradigm based upon real-time visibility into demand and orders. Yes enterprise mobility is a crucial element in all of this. It supports the "information logistics" system required to remain competitive in a world undergoing digital transformation, but let's not become mesmerized by enterprise mobility. It is not the end goal. 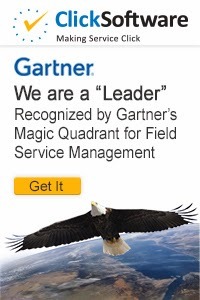 It is simply an enabler on the journey through digital transformation. **Have you read the new Mobile Solution Directory here - http://mobilesolutiondirectory.blogspot.com/? Read more on the Future of Work here - www.unevenlydistributed.com. I listened to an IT expert in the CIA give a presentation on how they could use the sensors on a typical smartphones to uniquely identify the walking style and pace of individuals. For example, the intelligence agency may suspect a person carrying a phone is a bad guy. They can remotely switch on the smartphone's sensors and record the walking style and pace of the person carrying the phone and match it with their database records. SCARY ISN'T IT!? Those are just a few of the sensors available that integrate the physical world with the digital. Read this article I wrote to learn more about the incredible capabilities of sensors. Mobile apps can also be considered the API (application programming interface) between humans and smartphones. For example, a mobile application for recommending local restaurants may start by asking the user what kind of food they prefer. The human queries their stomach, and then inputs the results into their mobile app by touching the keypad or using their voice. Suddenly a server in an Amazon data center knows your stomach's inputs! That is one powerful sensor and API! Given the vast array of sensors in the human body incredible things can be done once those sensor inputs are digitized. Although there are many powerful sensors in the human body the API is still the human's touch, typing or voice. The emergence of wearable sensors and smart devices are a way to try to automate the process of data collection so humans are not required to take time and effort to input the data. Sensors are also connected to the non-physical. Sensors can connect with time. Once time reaches a specified place, a digital alarm can go off striking your physical ear with sound waves. That is making the non-physical inputs, physical. The challenge for businesses today is to envision how all of these sensors and available real-time data can be used to improve customer service, product design, marketplace interactions and engagements so there are more profits at the end of the day. In the book Digital Disruptions, James McQuivey writes that for most of history, disruptions (business and marketplace transformations) occurred in a physical world of factories and well-trod distribution networks. However, the disruptions of tomorrow are likely coming from digital disruptions - sensors, code halos, big data and mobile devices and wearables. The task and challenge of every IT department is to understand and design a strategy that recognizes that the competitive playing fields of tomorrow are among the digits. ***Have you seen the new Mobile Solution Directory here http://mobilesolutiondirectory.blogspot.com/? If a massive herd of elephants were charging at you from 20 meters away, would taking a small step forwards or backwards improve your safety? NO! In many situations it seems that is how companies are approaching mobile strategies. They are staring massive marketplace transformation in the face, but responding by just starting a few mobile app POCs (proof of concepts). In James McQuivey's book titled, Digital Disruption:Unleashing the Next Wave of Innovation, he states that competition in business is rapidly moving to a focus on knowledge of and engagement with customers. Companies are developing an understanding of "code halos" (their customers' digital footprint or history of activities on the web, at a location and in various database systems) and they must now use this data to better engage with customers through their customers' "engagement format of choice" which is increasingly on a mobile device. Finding, integrating and using a person's "code halo" represents a lot of work for an IT organization. It takes strategy, budgets, resources and planning. It takes more than a small step as suggested in my earlier anecdote. This is the kind of thing the CMO (Chief Marketing Officer) needs to be taking up with the CEO and CIO. 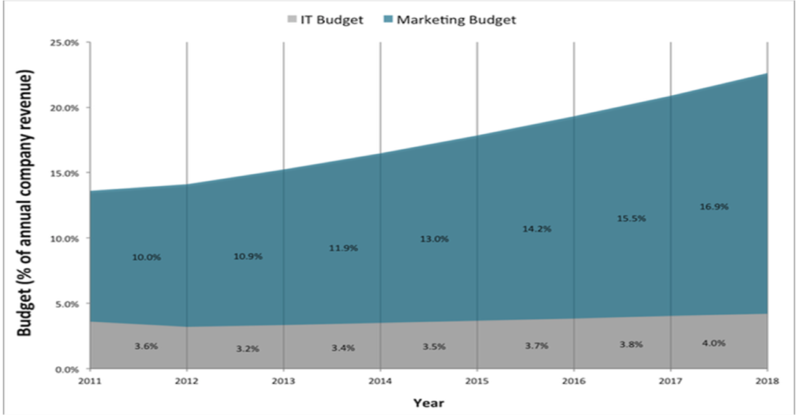 In the latest technology budget forecasts I have seen from Gartner (see chart above), more of the technology budget is being shifted to the business and/or marketing department, while the IT budget remains relatively flat. I believe this suggests many companies "get it." They understand their ability to stay competitive in the face of Amazon, Apple, Google and eBay, etc., just to name a few of today's digital disruptors, depends on their ability to effectively collect, analyze and utilize "code halos" and engage with their customers and markets on a mobile device. When it comes to enterprise mobility and mobile apps - Get strategic and get competitive before it is too late!! !